As far as professions go, there are very few that can boast of the legacy, popularity and wealth that is found in acting, particularly in Hollywood which is the richest and biggest acting industry in the world. In such a robust industry, there is no shortage of talent who have passed through and carved a size of the global pie of financial and social wealth that Hollywood has to offer. One of the few thousand people to have managed this is Peter Bergman. Bergman has chosen the Daytime television or soap operas as his own side of expertise. The veteran actor has been a professional since 1976 when he made his debut in the television show, Kojak and played the character, Bo Allen. Read on to find out more about his career and personal life. Guantanamo Bay may have been a popular location for being the home to captured terrorists by the US, but it can also lay claim to being the location of a few other things, including being the birthplace of Peter Bergman on the 11th of June 1953. Unfortunately, the rebranding as the home of a popular actor may not stick as he was born to United States Navy Officer, Walter Bergman who served in the location at the time. The identity of his mother is known. Following his birth, Peter Bergman moved stateside and completed his education at Crossland Senior High School in Maryland. After high school, he attended the American Academy of Dramatic Arts where it is believed he studied acting. How and why exactly Bergman chose to pursue acting as a career is unknown but it is a decision that is consistent with that of several men and women in Hollywood who were raised by military personnel. He got his first credit through the role of Bo Allen on the television show, Kojak. The role, which was a couple of episodes in 1976 became the beginning of a long career as an actor. Having started his career in the mid-70s, his true breakthrough did not come until the 80s as he spent the rest of the 70s appearing in commercials. When the infamous 80s rolled in, Peter Bergman got his first credit of the new decade by appearing as one of his notable characters, Cliff Warner in All My Children. He followed his appearance on the show with his first feature-length film, Fantasies, a television movie where he starred as Larry. Bergman then secured the role of a lifetime in 1989 when he began to appear as Jack Abbott in the soap opera, The Young and the Restless. In between his appearances on the show, he has starred in other projects like The Return of the Muskrats, The King of Queens, The Nanny and a couple more others. For all of his appearances as an onscreen actor, Peter Bergman has found time for appearances on stage as a stage actor. Over time, he has appeared in plays like A Christmas Carol at the Actors Theatre of Louisville. He also did a bit of modeling for a print magazine in 1977 and starred in a cough syrup commercial in 1986. With the slice of the Hollywood pie comes the Hollywood curse – divorce. Ever since Peter Bergman joined the industry in 1976, he has been married twice. His first marriage was to actress Christine Ebersole whom he was married to between 1976 and 1981. After their marriage hit the rocks, he only waited four years before he gave love and marriage a try again by marrying Mariellen Bergman. The second time proved to be the charm as he has been married to Mariellen ever since with the couple raising two beautiful children – Conner Bergman and Clare Bergman. 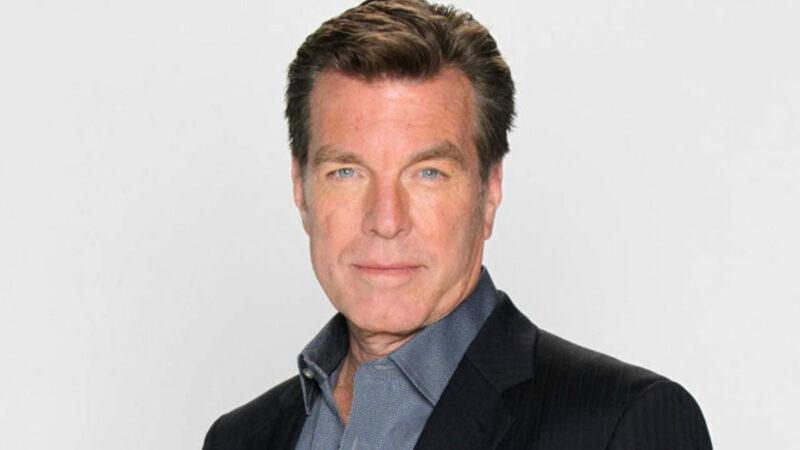 Unfortunately, the time spent in the industry hasn’t revealed every secret of Peter Bergman. There are still unknowns about The Young and the Restless star and it includes the existence and identity of possible siblings. However, being the son of a military officer stationed in Cuba, there is a statistical chance he does have siblings. 3. Although as a veteran actor, his age is beginning to show, during his young days, he had dark hair and blue eyes.